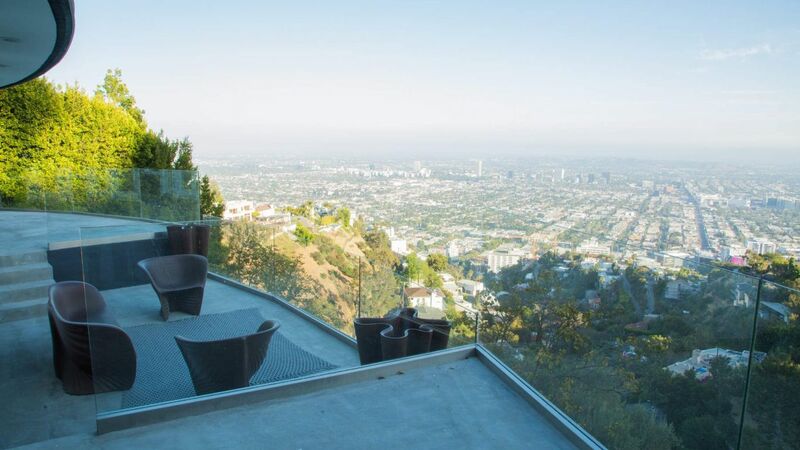 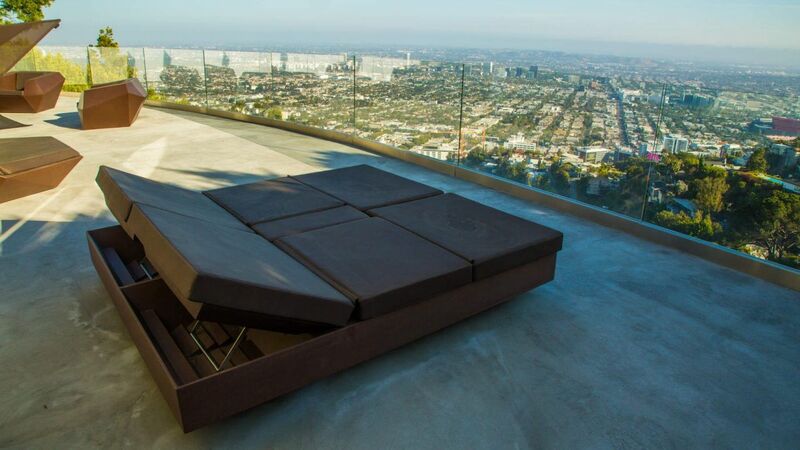 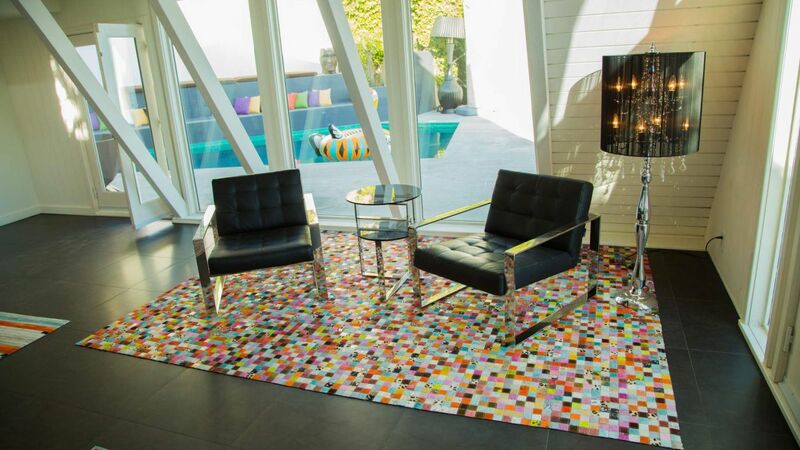 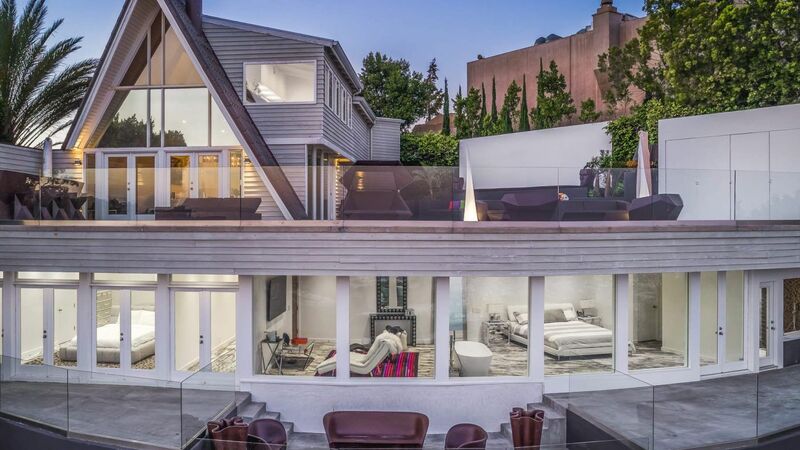 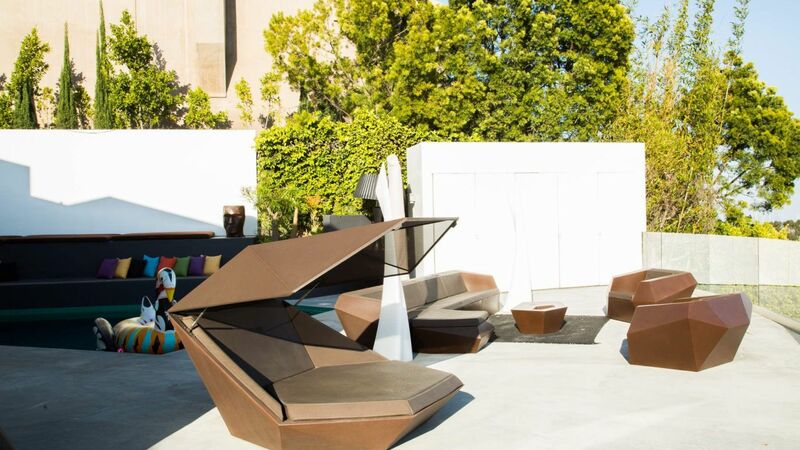 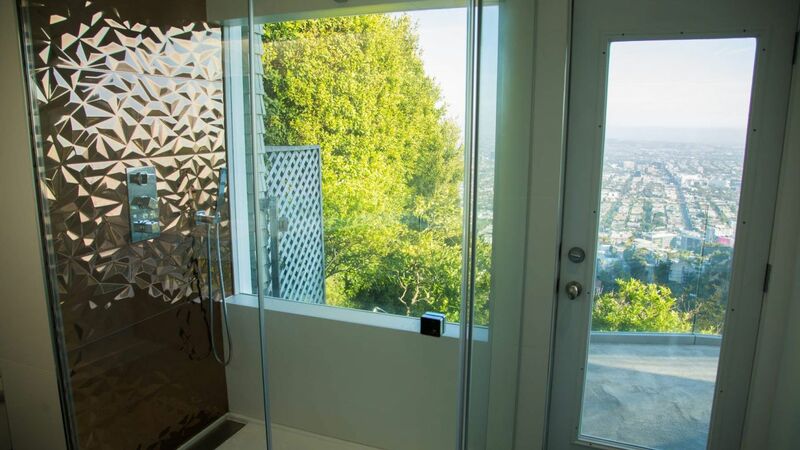 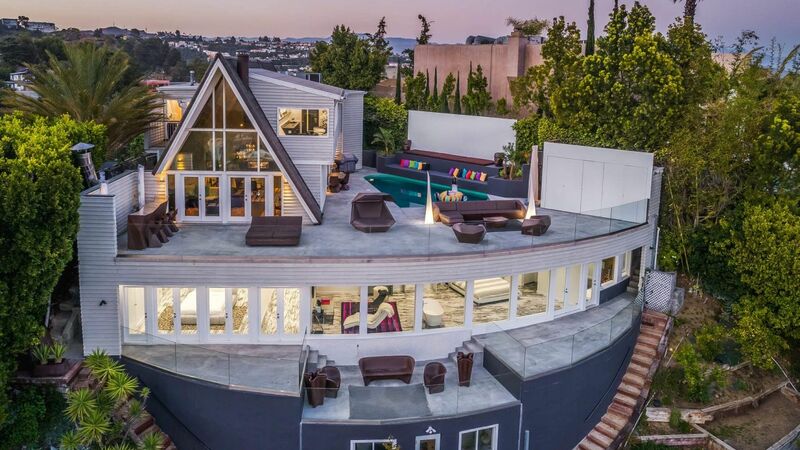 Villa Gem is a stunning architectural home perched on the very top of Hollywood Hills. 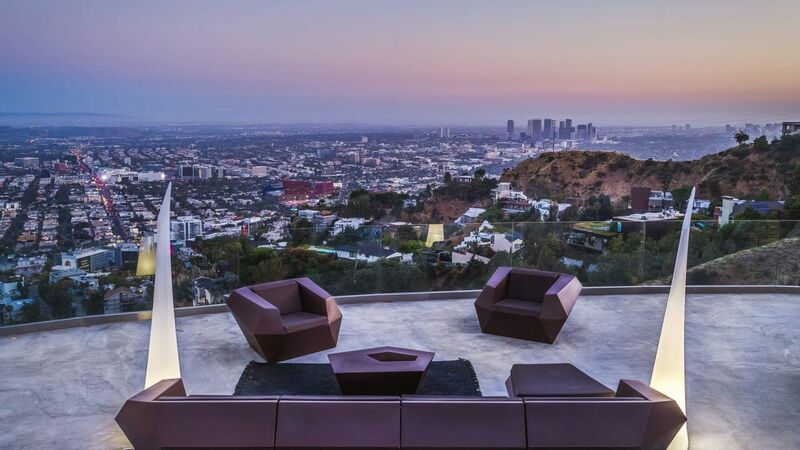 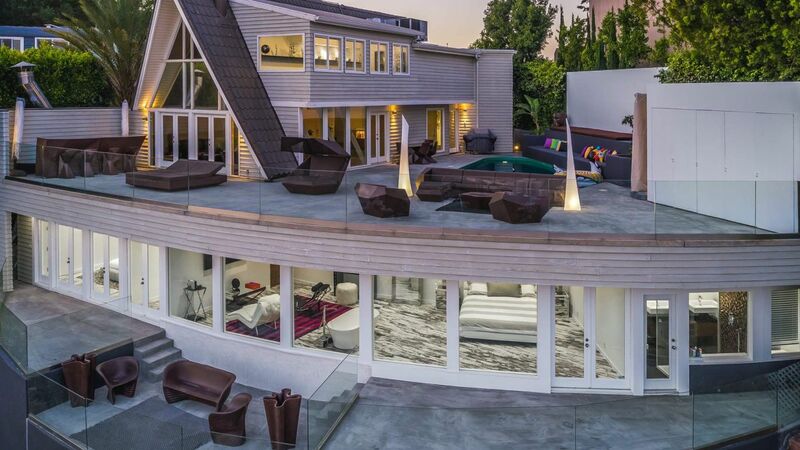 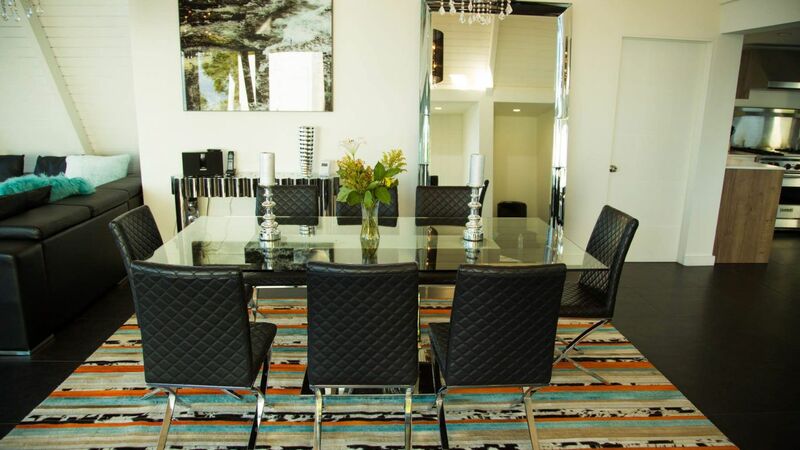 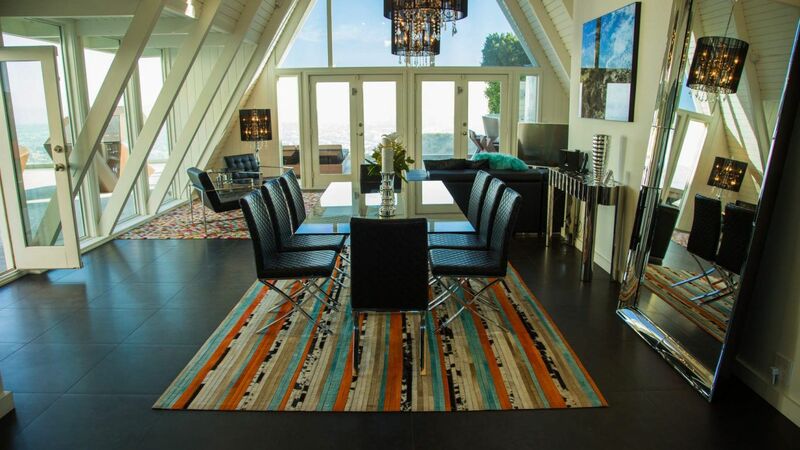 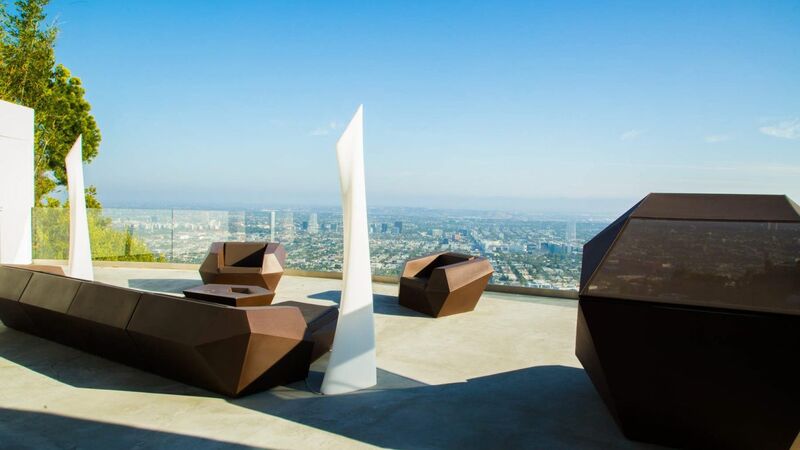 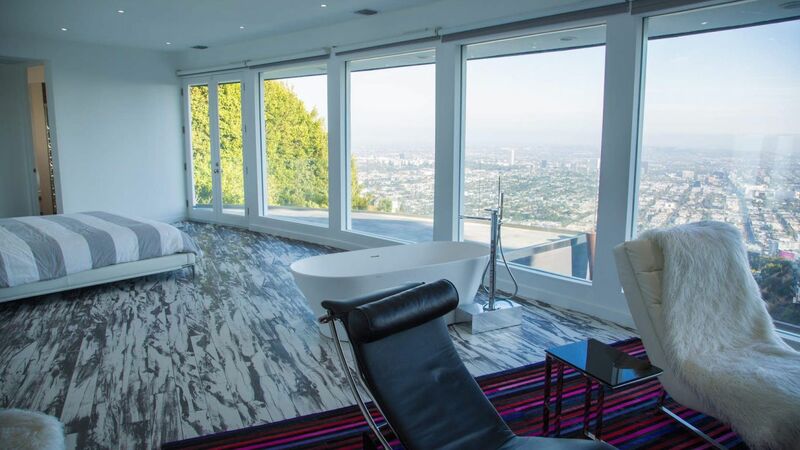 This home comes with expansive view of the city of Angels. 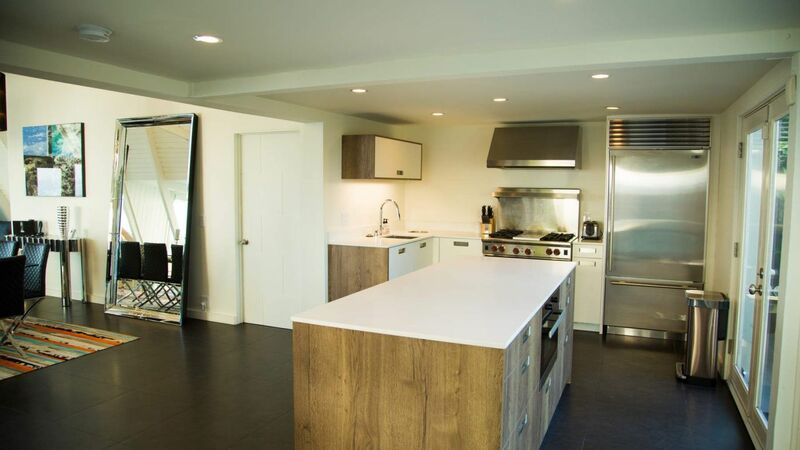 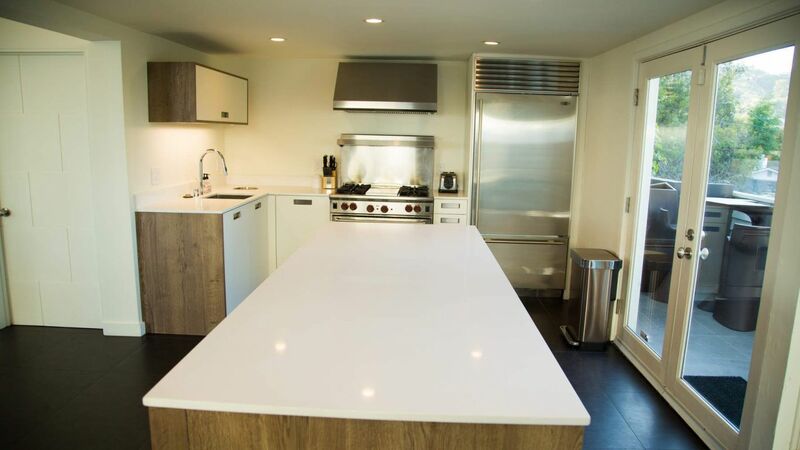 This home was remodeled by a French Designer and features 3 bedrooms and 2.5 baths. 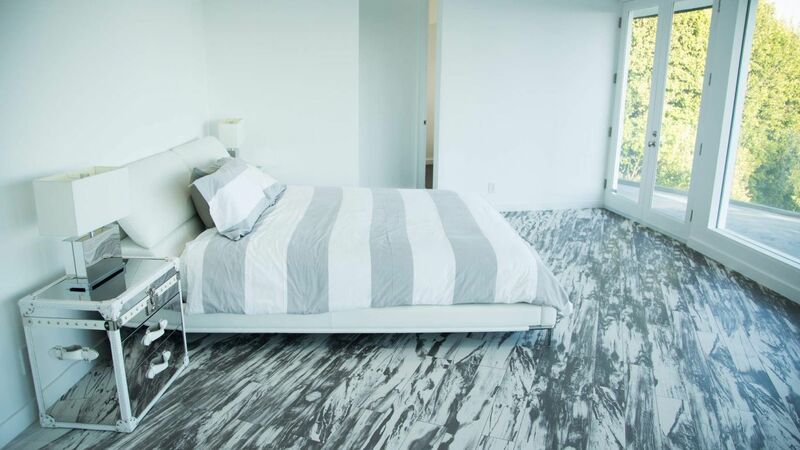 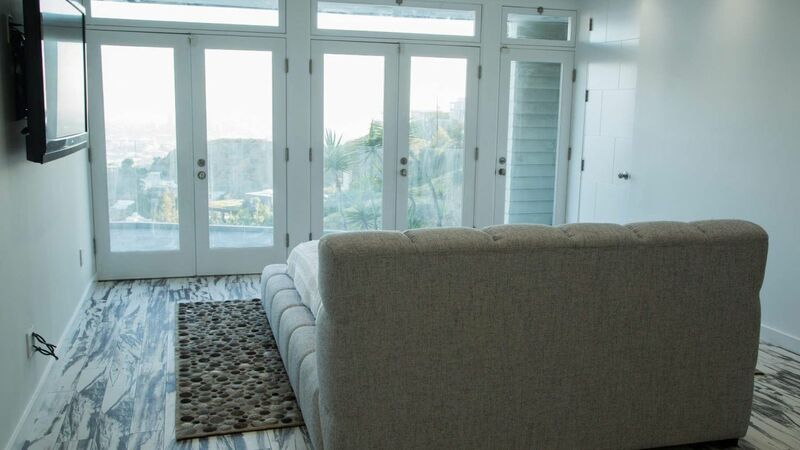 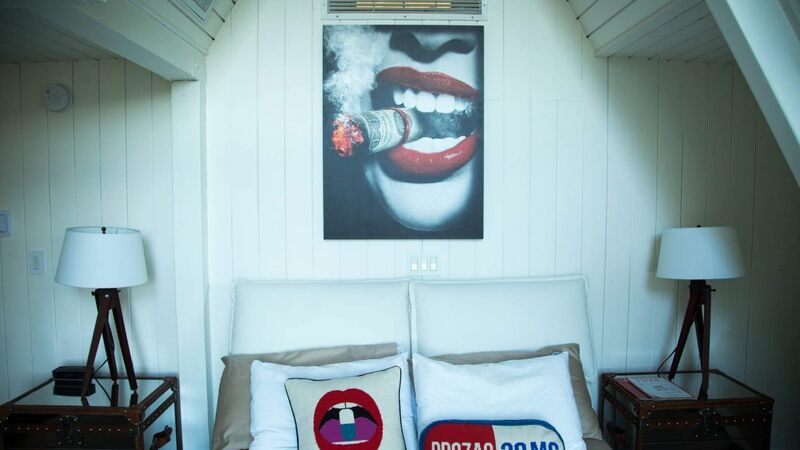 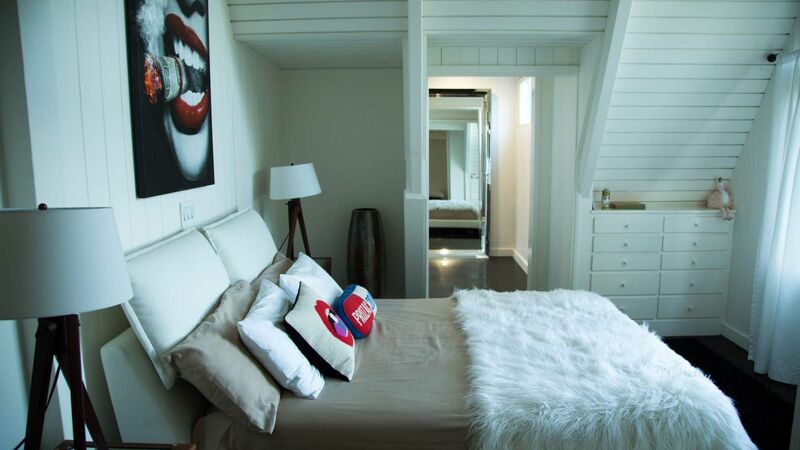 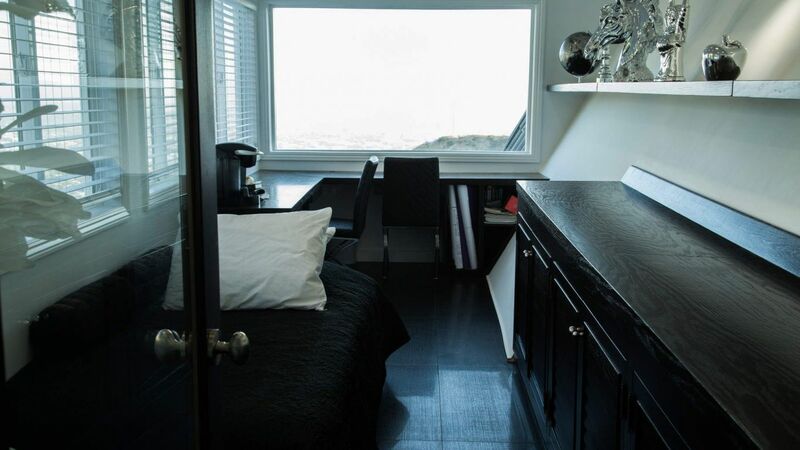 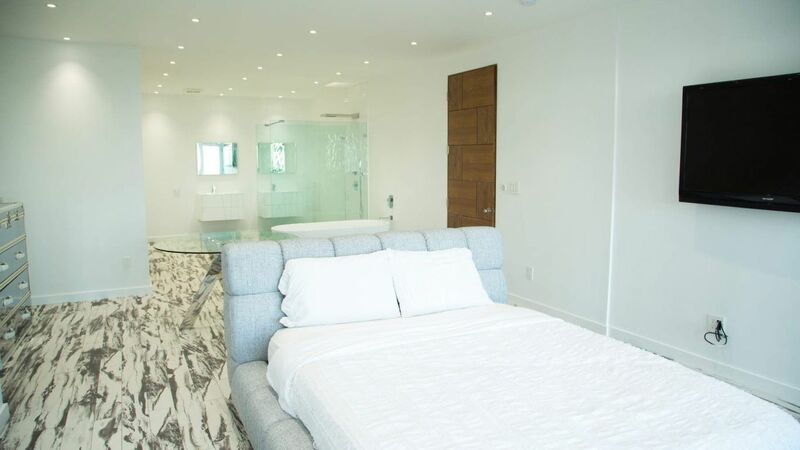 The 3,200 square foot residence consists of 3 levels, the upper level has 1 bedroom and office along with its own full bath and private balcony. 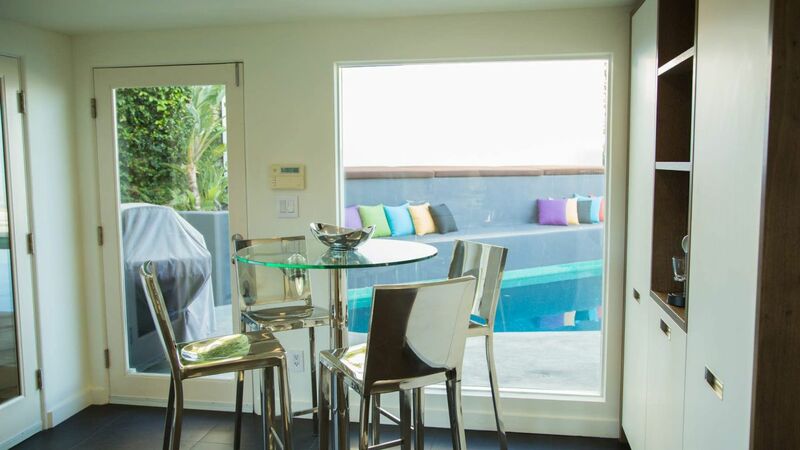 The main level consists of a spacious open floor plan living dining and kitchen topped with high ceilings and direct access to the pool area and outdoor bar. 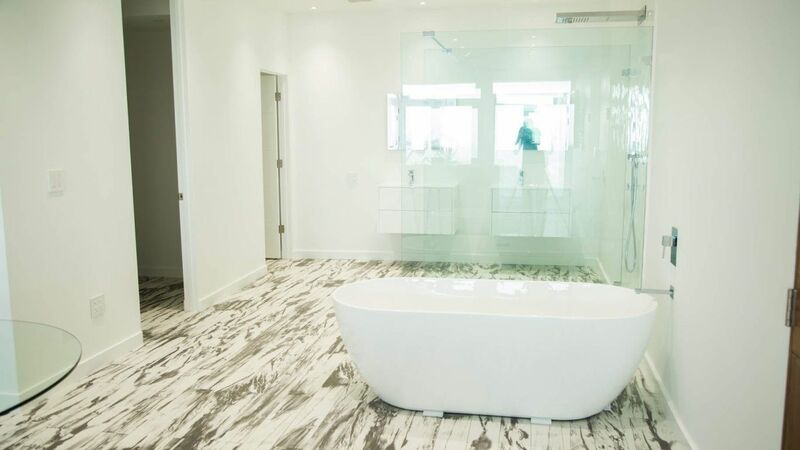 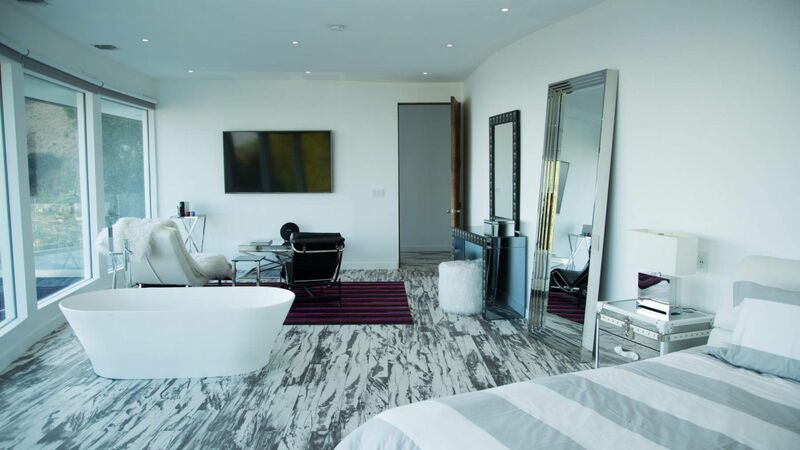 The lower level which was just gutted and re-imagined has 2 Master Bedrooms with glass walls, private terraces and gorgeous bathrooms which includes a floating bathtub with a view! 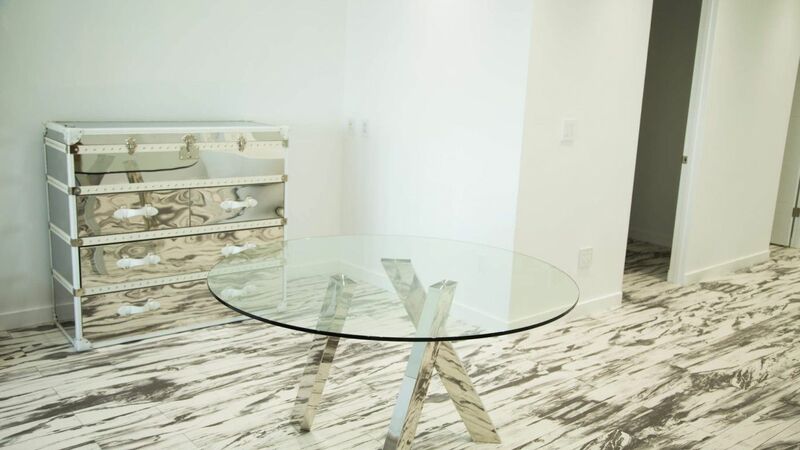 Features include designer imported furniture along with European fixtures and a kitchen which takes this very special home over the top. 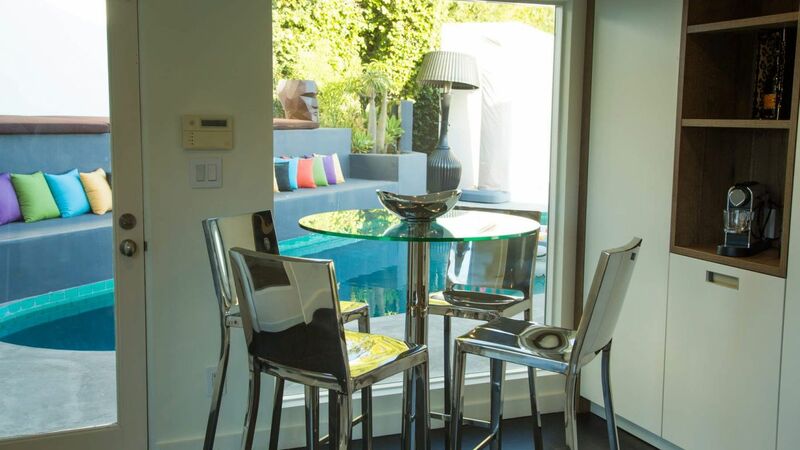 The pool and the deck are simply superb.This is indeed the perfect getaway for the summer for your discerned clients looking for a turnkey entertainer house or private retreat with glorious views.